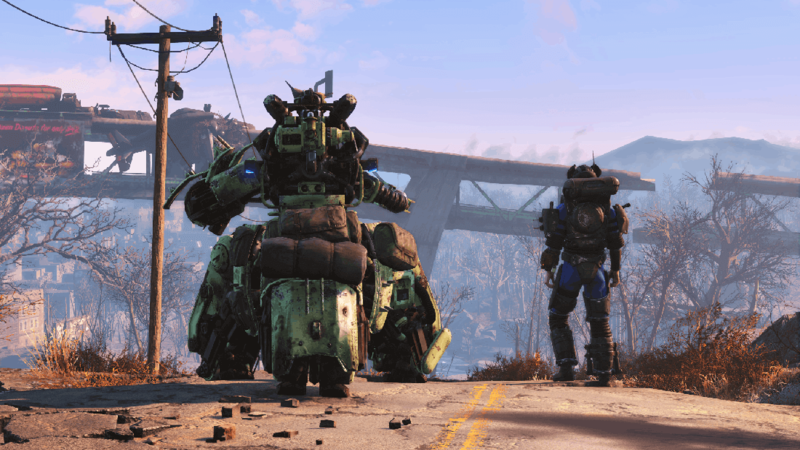 When Bethesda revealed the first three expansion packs for Fallout 4, the publisher said it had more than $60 worth of new content and features in the works for 2016. With the last of three announced DLCs – Far Harbor – set to arrive later this week, we’re still waiting to hear what’s coming next… or at least, that’s what most of us are doing. Others are actively on the hunt for clues regarding Bethesda’s next move. Reddit user flashman7870 is one of those users and he’s stumbled upon something quite interesting. Buried within the game’s code is a reference to DLCNukaWorld.esm. iDigitalTimes points out that Bethesda commonly uses .esm files as main game files. The only question is, what exactly is Nuka World? As you can imagine, speculation is running rampant at this hour. The obvious first guess is that Nuka World may be a post-apocalyptic version of Disney World or Six Flags with Nuka Cola (the popular in-game soft drink) as the main attraction. Other possibilities include a map set in a Nuka Cola factory in which players are tasked with seeking out the drink’s long-lost recipe. The game file also unearthed two additional expansions, labeled DLCWorkshop02 and DLCWorkshop03. These are likely follow-ups to Wasteland Workshop, Fallout 4’s second major DLC which arrived in April. If that’s the case, players can probably expect a wealth of new items and customization options to surface in the coming months. Far Harbor is set to arrive on PlayStation 4, Xbox One and PC on May 19 priced at $24.99.